Myocarditis is an inflammatory disease affecting the heart muscle (or myocardium), most often caused by infections, immune diseases, or toxins. This inflammation reduces the ability of the heart muscle to contract normally. In severe cases, myocarditis can produce permanent heart damage, in particular, dilated cardiomyopathy and heart failure. The symptoms caused by myocarditis can vary tremendously in severity. Some people with this condition have symptoms that are barely noticeable, while others suffer severely. The degree of symptoms tends to correlate with the severity of inflammation present in the heart muscle. Mild symptoms are associated with milder cases of myocarditis, while severe symptoms usually reflect a significant inflammatory process. In many people myocarditis is a relatively mild and self-limited illness with very few symptoms. Sometimes a person with myocarditis will experience a flu-like illness that resolves in a week or two. In more significant cases actual cardiac symptoms appear. Chest pain can be a prominent symptom. If the myocarditis becomes severe enough to cause heart failure, dyspnea (shortness of breath) and edema (swelling) of the legs and feet can occur, along with all the other problems one can experience with heart failure. Read about the symptoms of heart failure. Occasionally myocarditis overwhelms the heart, and produces rapid, severe, and irreversible heart failure. Heart arrhythmias can occur during acute myocarditis. These arrhythmias can be of almost any type, including both the bradycardias (slow heart rhythms) and tachycardias (rapid heart rhythms), such as atrial fibrillation and ventricular tachycardia. These arrhythmias usually disappear once the acute myocarditis resolves. Infections with numerous infectious agents, including viral infections, bacterial infections, Lyme disease, fungal disease, parasites, and toxoplasmosis. Toxins, including alcohol, cocaine, arsenic, carbon monoxide, and various medications. Allergic reactions to numerous substances including antibiotics, insect or snake bites, or tetanus toxoid. Radiation, including radiation therapy applied to the chest area, such as for breast cancer. The diagnosis of myocarditis usually is made when the doctor puts together clues from several sources, including the patient’s symptoms and physical exam, the electrocardiogram (which often shows characteristic changes), and several blood tests (including elevated cardiac enzymes, abnormal blood counts, abnormal rheumatologic screening tests, or viral blood tests). If symptoms of heart failure are present, an echocardiogram can be helpful in assessing the extent of heart muscle damage. Occasionally, a heart muscle biopsy is required to document the extent and type of inflammation present in the heart muscle. The treatment of myocarditis is aimed first and foremost at identifying and treating the underlying cause. For instance, it is critical to treat an underlying infection with the appropriate antibiotics, to aggressively treat an underlying autoimmune disorder, or to remove the source of toxin exposure (such as cocaine or alcohol). In addition, if heart failure is present, aggressive treatment for heart failure should be instituted immediately. Read about the treatment of heart failure. In addition, people with acute myocarditis should avoid exercise or any unnecessary physical exertion to reduce the work of the heart during this acute phase. Read about exercise recommendations for people with myocarditis. With aggressive treatment, many people with myocarditis will recover completely. In some people, however, the recovery is not complete, and some degree of cardiac damage may be permanent. In addition, inflammation may smolder along for months or years, causing gradual worsening of cardiac function. For this reason, anyone who has had myocarditis needs to be reevaluated every few months, and their physical activity may need to be limited until it is clear that the problem has fully resolved. Even at that point, people who have had myocarditis should be reexamined on an annual basis. In most cases, myocarditis is a relatively mild and self-limited heart problem. But in some people myocarditis can lead to significant heart failure, and it can do so either acutely or more gradually. 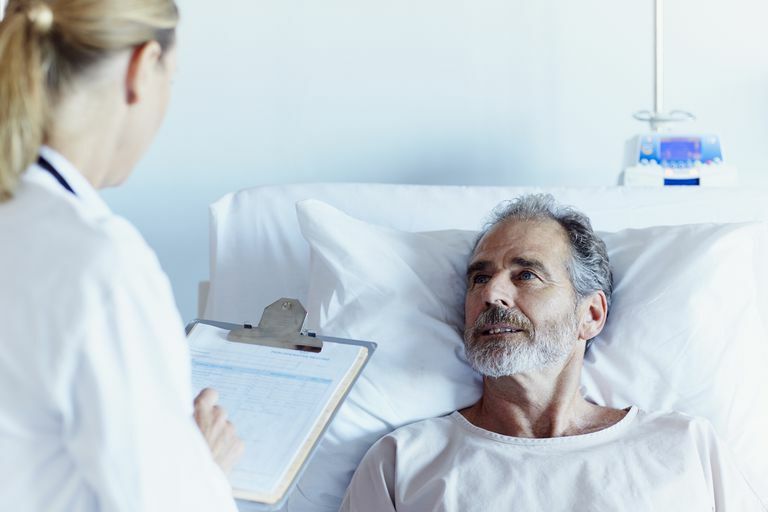 If you or a loved one have myocarditis, it is important to work with your doctor to identify the the underlying cause to enable the right treatment and try to prevent further episodes. Maron BJ, Udelson JE, Bonow RO, et al. Eligibility and Disqualification Recommendations for Competitive Athletes With Cardiovascular Abnormalities: Task Force 3: Hypertrophic Cardiomyopathy, Arrhythmogenic Right Ventricular Cardiomyopathy and Other Cardiomyopathies, and Myocarditis: A Scientific Statement From the American Heart Association and American College of Cardiology. Circulation 2015; 132:e273. Ammirati E, Cipriani M, Moro C, et al. Clinical Presentation and Outcome in a Contemporary Cohort of Patients With Acute Myocarditis. Circulation 2018; 138:1088.